A testing hole played from an elevated tee. The left to right sloping fairway carries the ball to the right hand side which is the best position from which to play to the green. 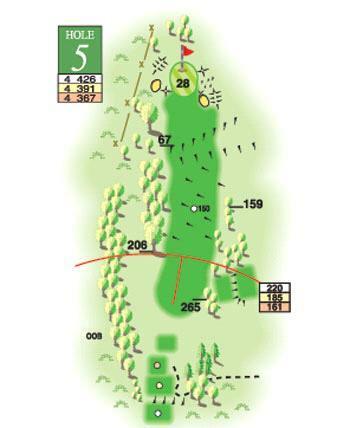 A ridge 30 yards short of the green has to be carried and a bunker awaits any shot hit slightly right.